208-220 Bank Street, South Melbourne. 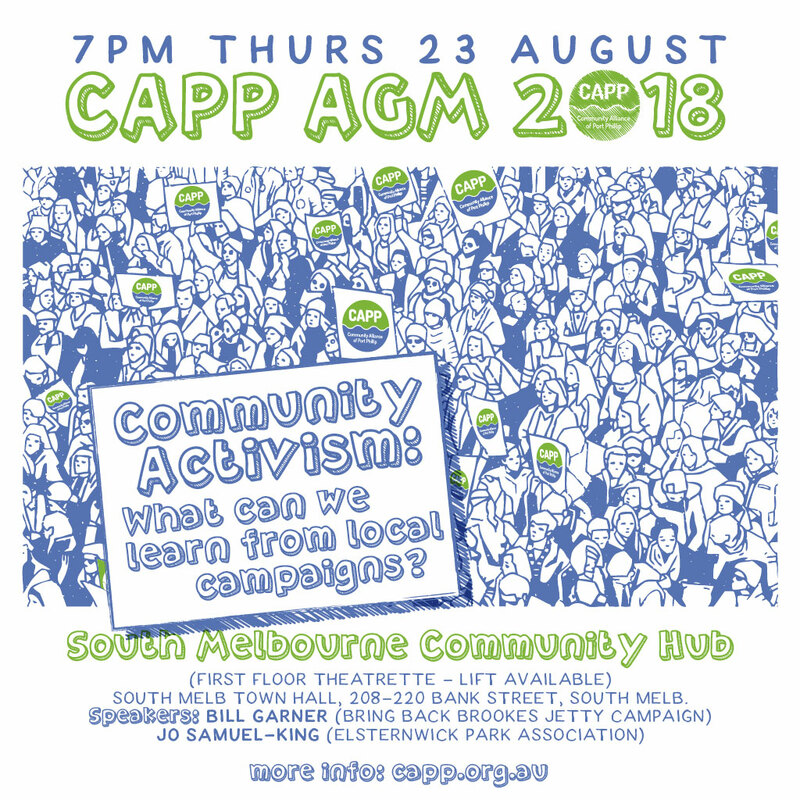 speak about two important local campaigns and participate in a discussion about the challenges faced and the lessons we can learn for future activism in the City of Port Phillip. Prior to the AGM we are seeking nominations for the CAPP Committee for the coming year. If you are interested in joining the committee, please download and complete a nomination form from this CAPP website here. CAPP memberships fall due on 1 July every year. Please join or renew your membership now. You can do this online here or download a membership form here and post your payment to us. Best wishes, and looking forward to seeing you soon at the forum and AGM.